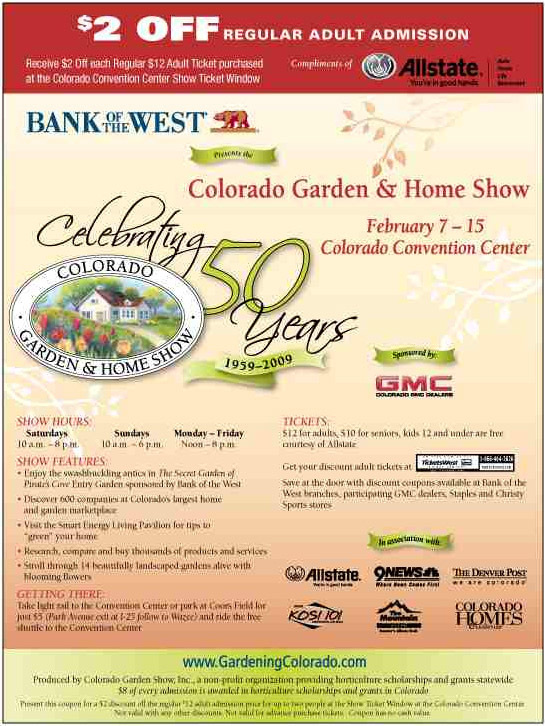 The 2009 Colorado Garden & Home Show is currently at the Colorado Convention Center. It runs February 7-15. Click on the image and print it for a $2 off coupon. You are currently browsing the EVstudio Architecture, Engineering & Planning | Blog | Denver & Evergreen | Colorado & Texas Architect blog archives for the day Tuesday, February 10th, 2009.